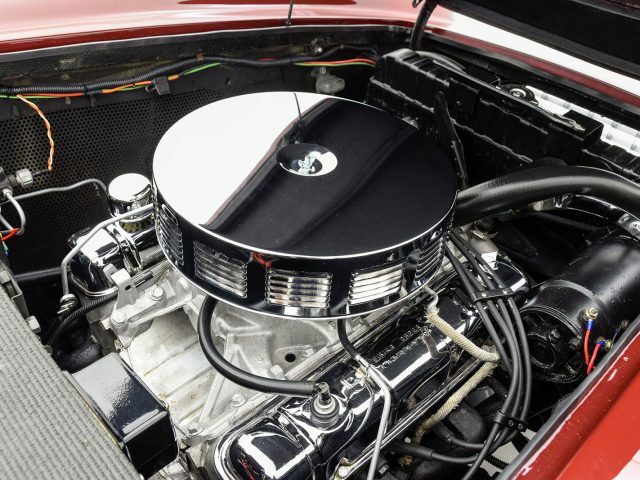 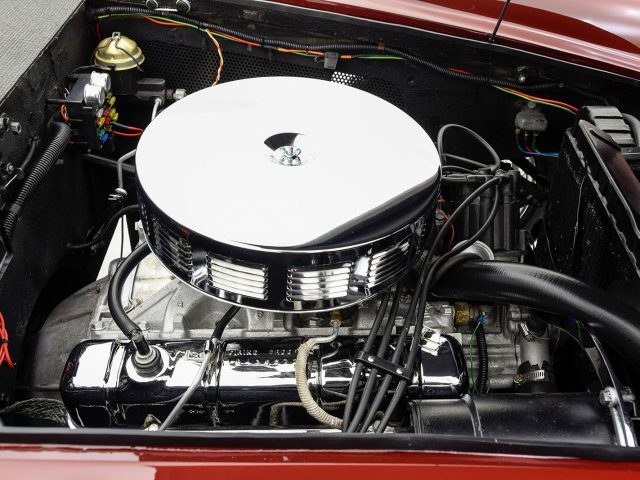 In the 1950s, there was no shortage of creative young car enthusiasts building cars of their own, combining traditional Hot Rod techniques with newly developed fiberglass technology. 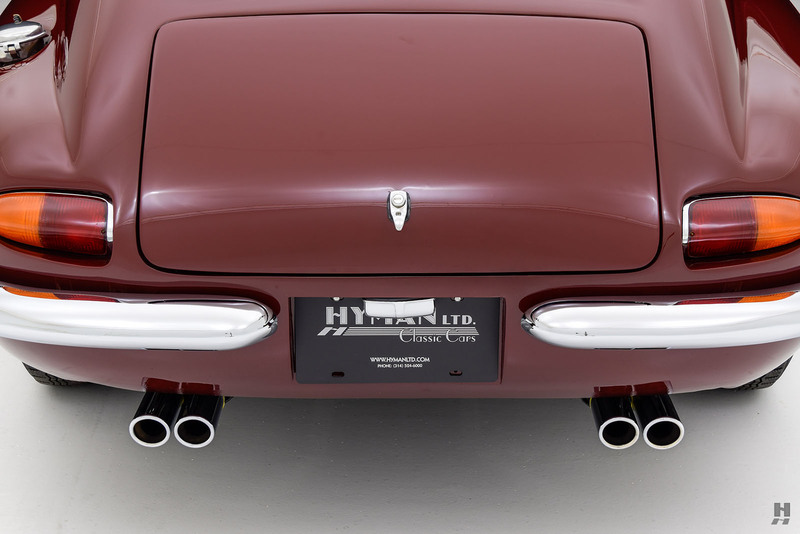 It seemed that every month, a new design was coming out of some California workshop. 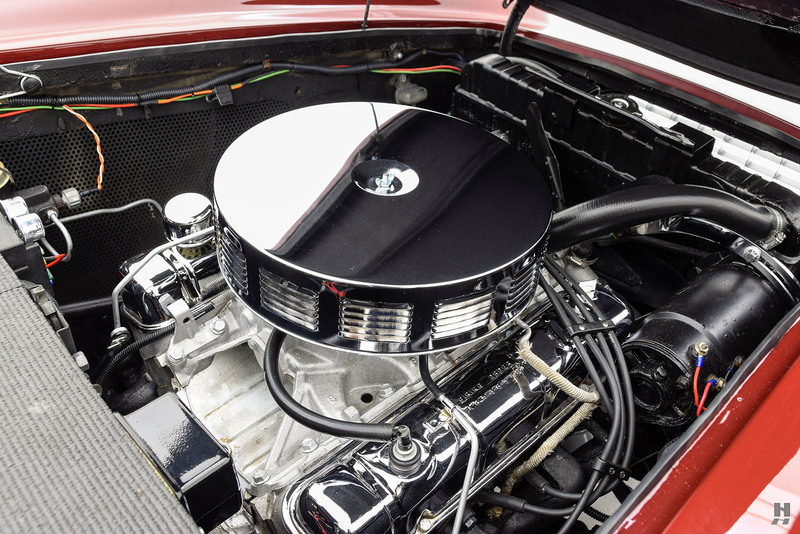 However, a young engineer named Milt Brown had higher aspirations. 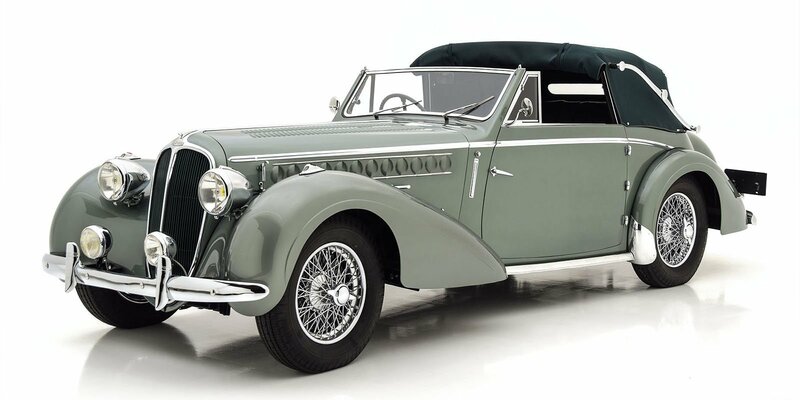 Inspired by the beautiful and exotic sports cars coming out England and Europe, Milt dreamed of building a car of his own that could hold a candle to the likes of Aston Martin or Ferrari. 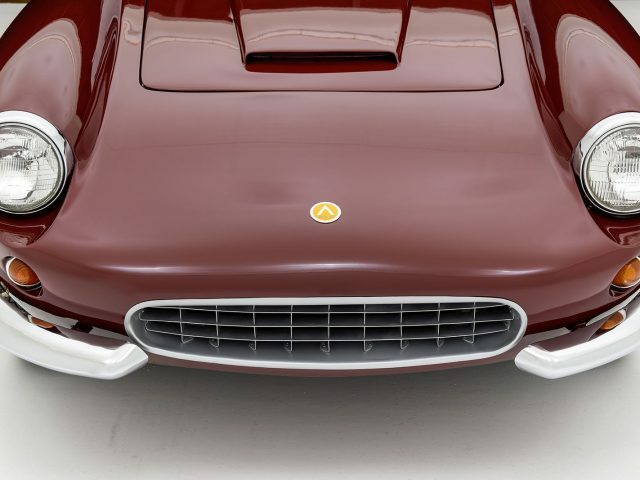 Rather than using an existing chassis, Milt Brown would design one from scratch, and skin it with a svelte, coachbuilt Italian body. 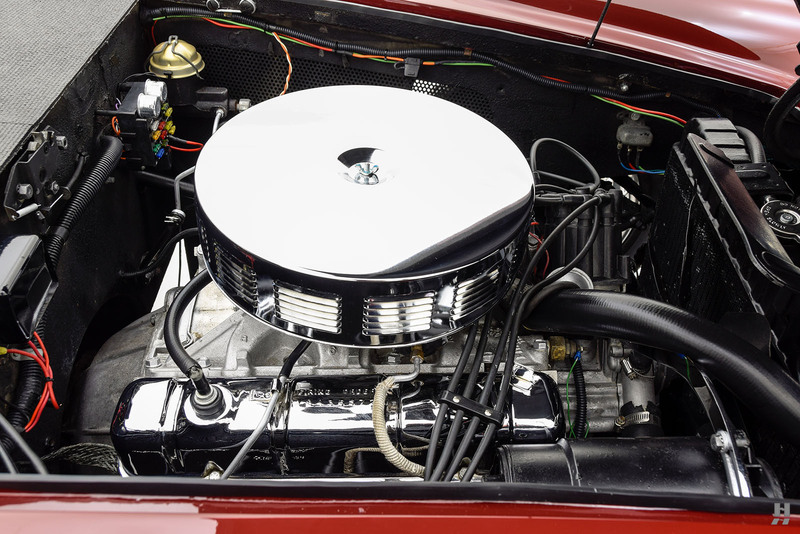 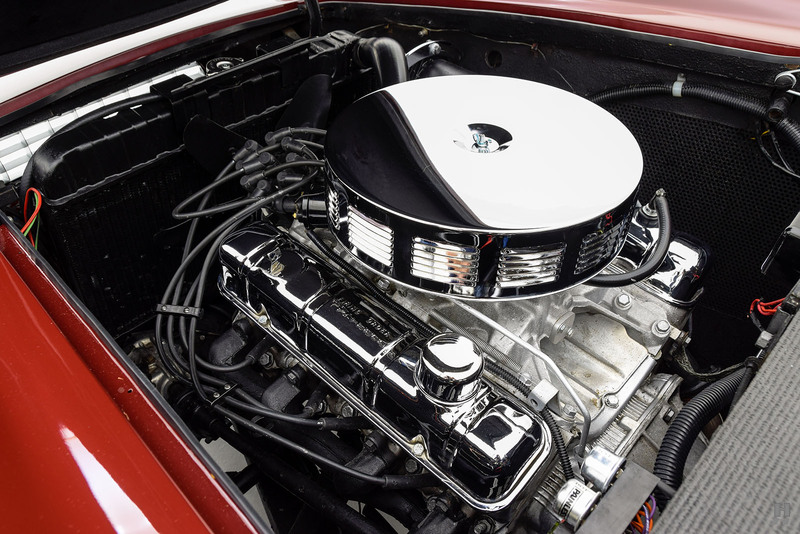 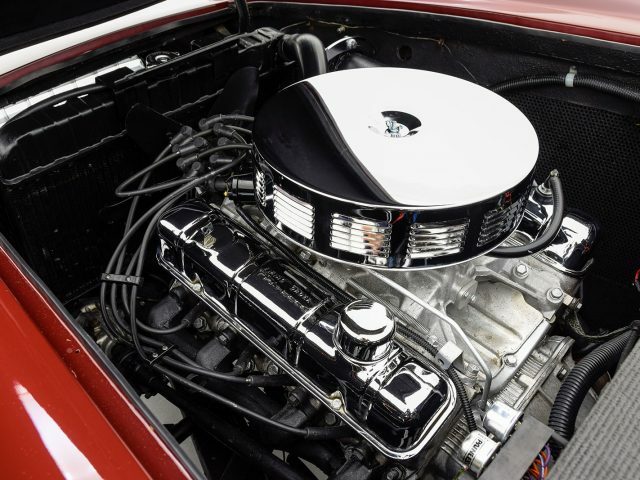 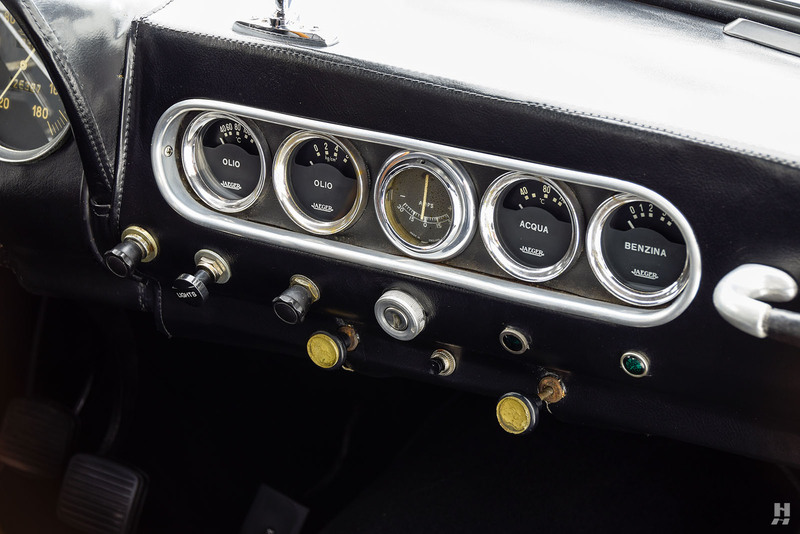 While he may have lacked the resources to develop an engine of his own, he had his pick of any number of powerful and affordable V8s from Ford, GM, Chrysler, and others. 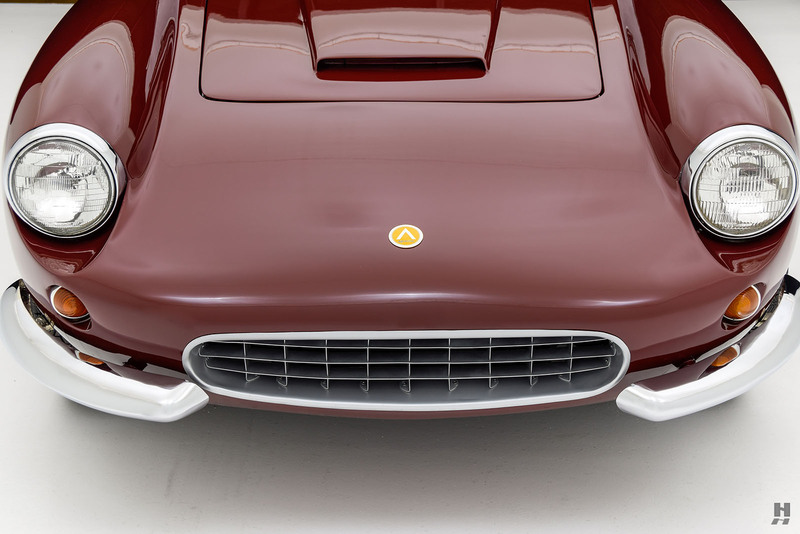 Milt Brown’s new Apollo GT was unique in the fact that the chassis and body were American designed but built in Italy. 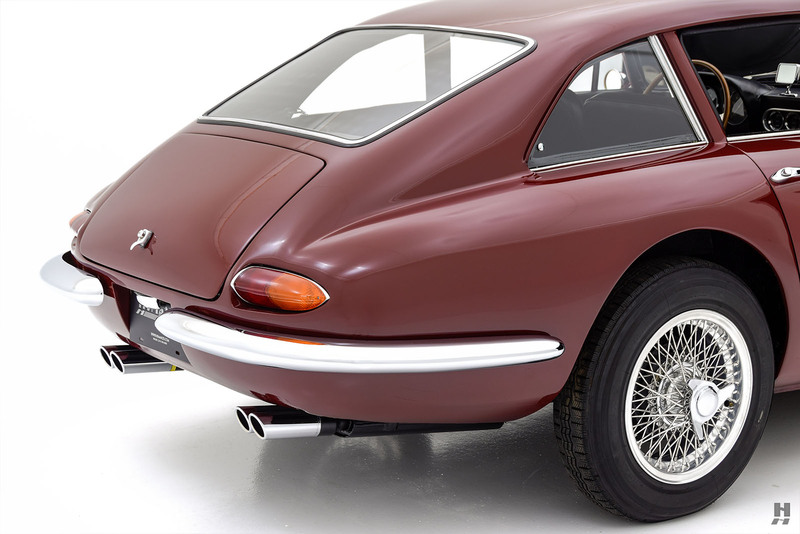 Brown engineered the coil-sprung chassis, while his friend Ron Plescia, himself a graduate of Pasadena’s Art Center College of Design, did the initial styling work for the body. 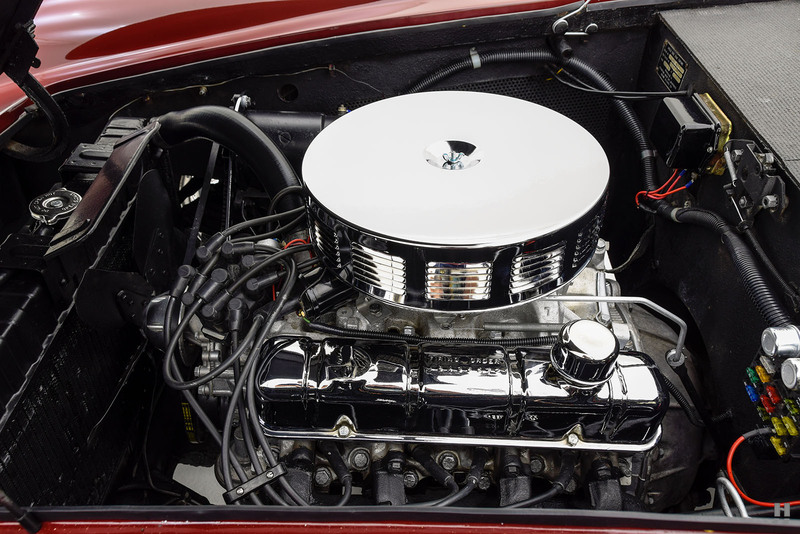 Brown selected Buick’s advanced new 215 cubic-inch aluminum V8 engine for its lightweight, compact dimensions, and generous output. 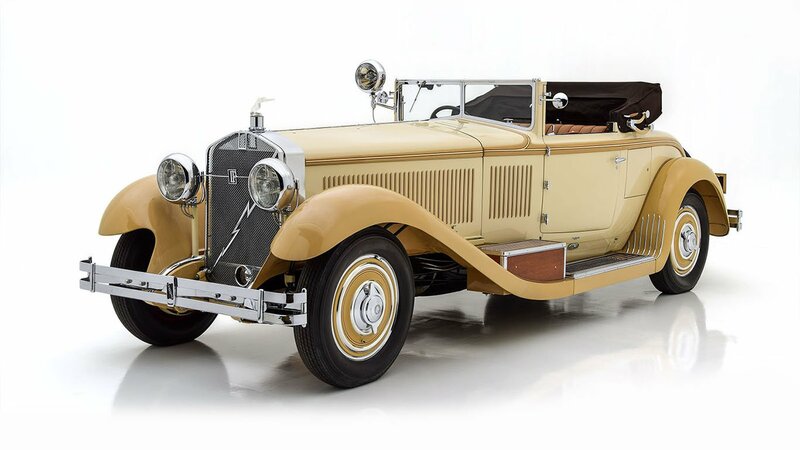 He had also hoped that by utilizing new GM engines, he could sell his cars through select Buick dealers. 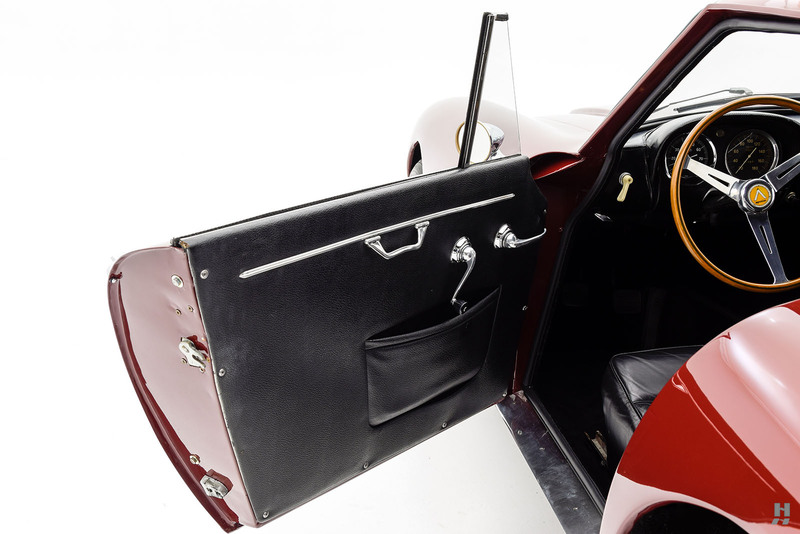 Once the final design was settled, and financing was in place, Brown went in search of someone to build his car. 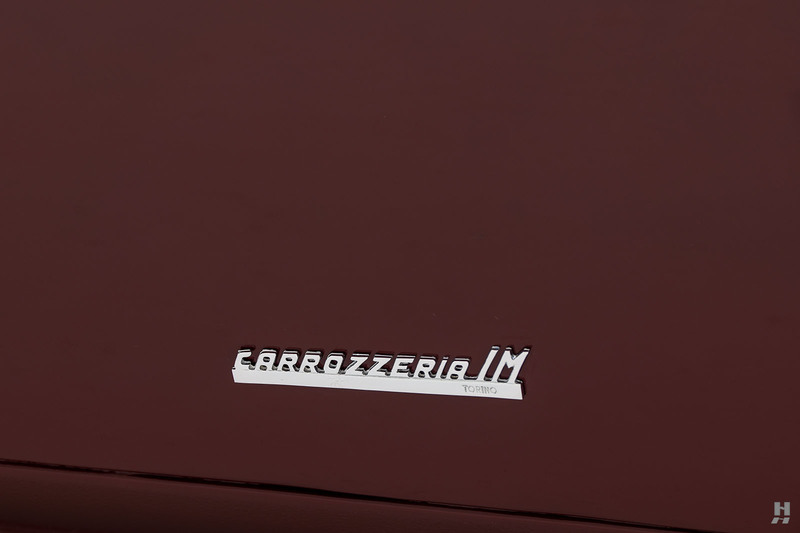 He partnered with Frank Reisner of Carrozzeria Intermeccanica in Turin, who had gained a solid reputation for his high-quality tuning parts and racing cars. 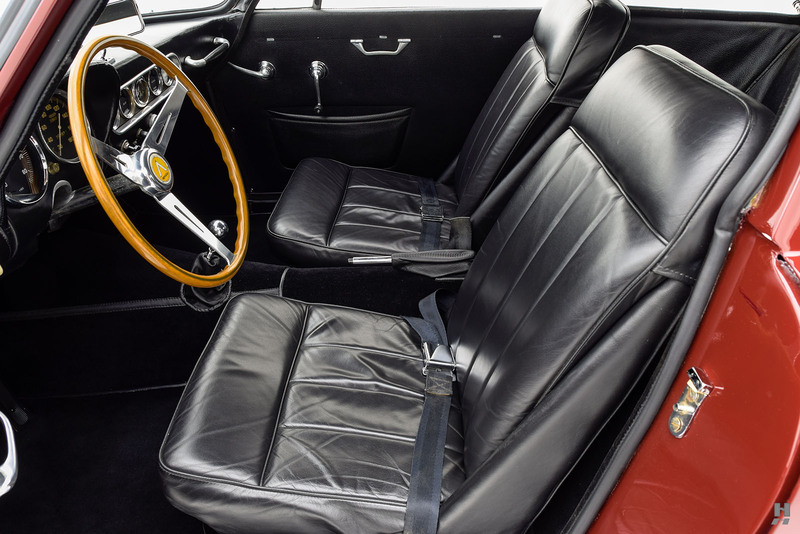 At Reisner’s suggestion, the styling of the Apollo was refined by famed Italian designer Franco Scaglione, lending the project serious credibility in the process. 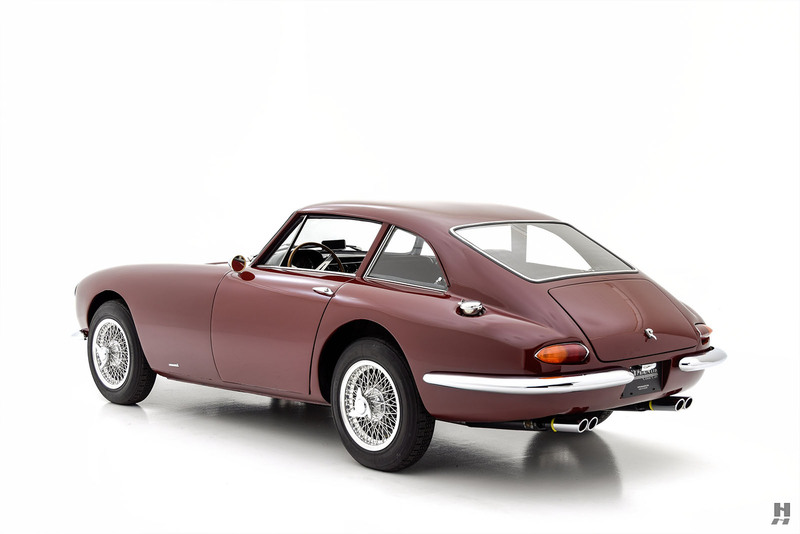 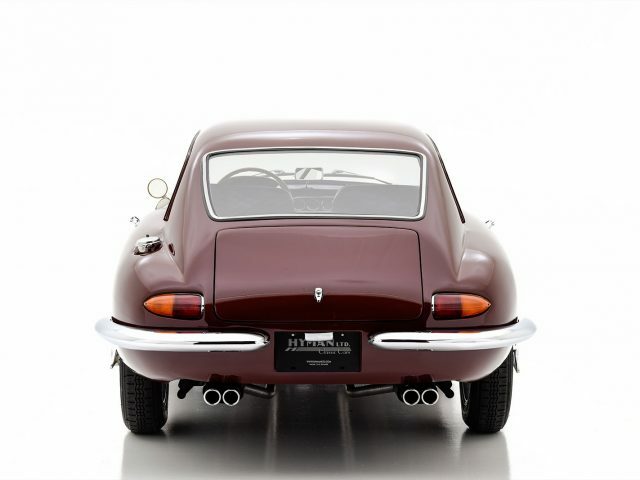 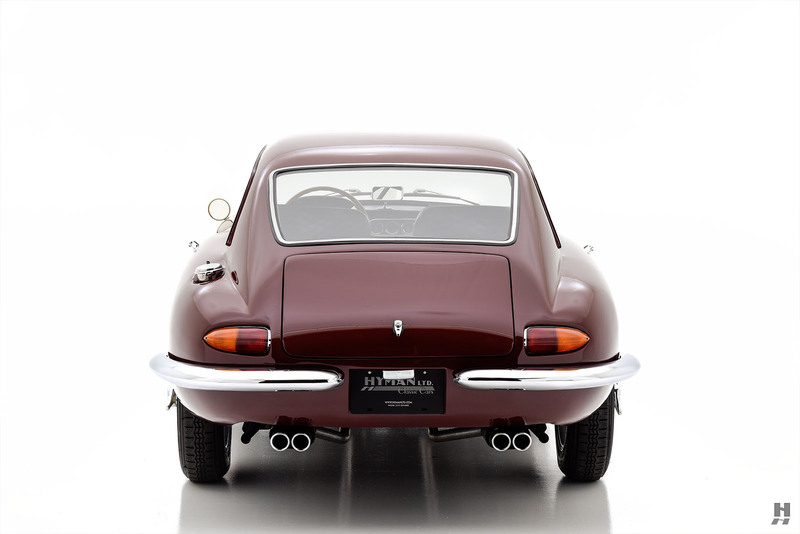 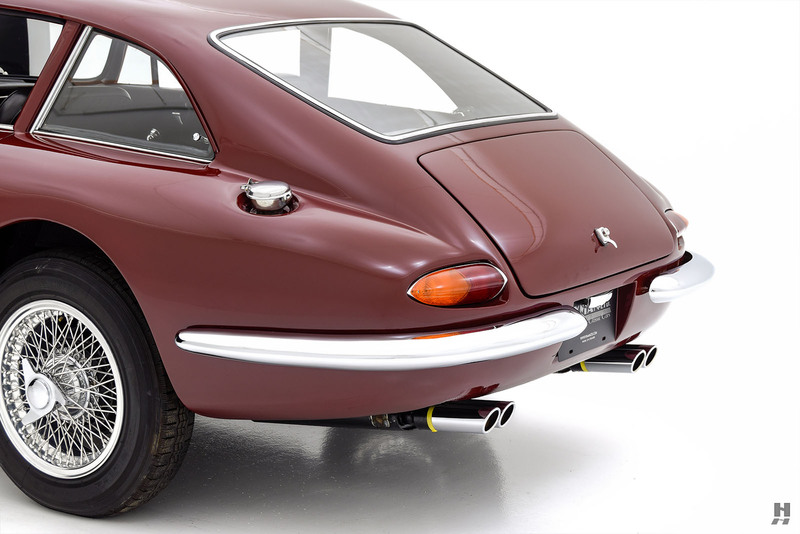 Scaglione added rear quarter windows, reworked the tail to taper subtly, and shortened the nose to create a beautiful and balanced fastback coupe. 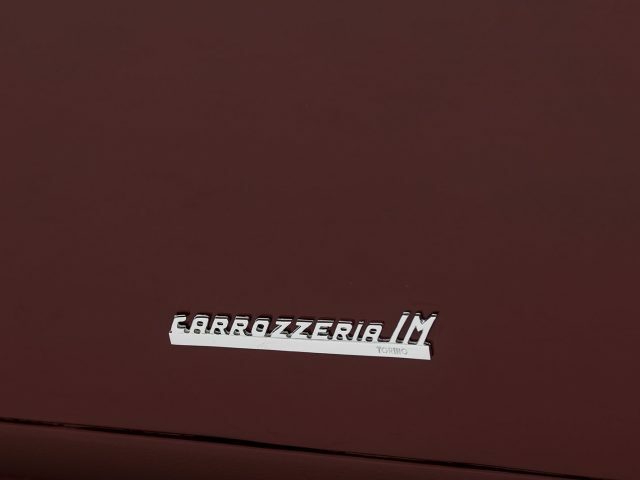 Construction of the tubular chassis and hand-built body was handled by Carrozzeria Intermeccanica in Italy, and once completed, the trimmed and painted shells were shipped to Oakland, California to receive their running gear. 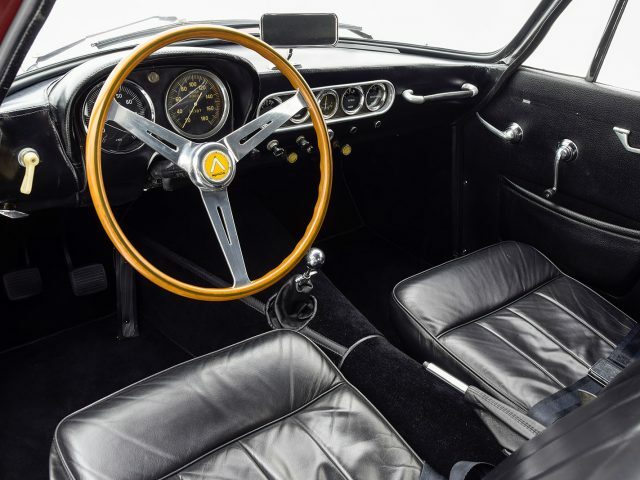 The Apollo GT was widely praised in the period by Road & Track and others for its outstanding performance and handling. 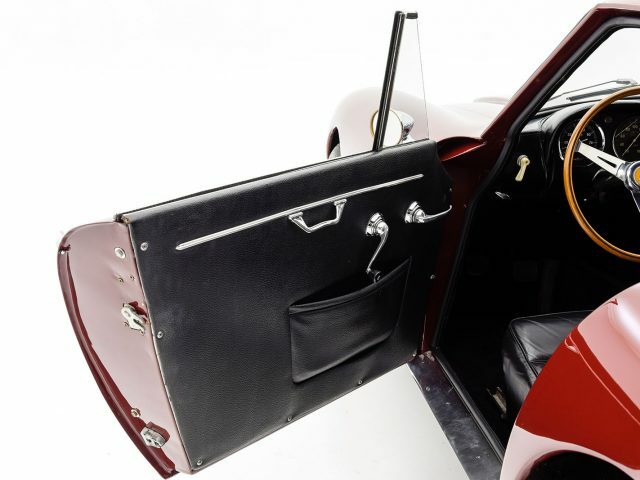 Keen movie fans might recognize the Apollo 3500 GT as the Thorndyke Special, nemesis to Herbie the Love Bug. 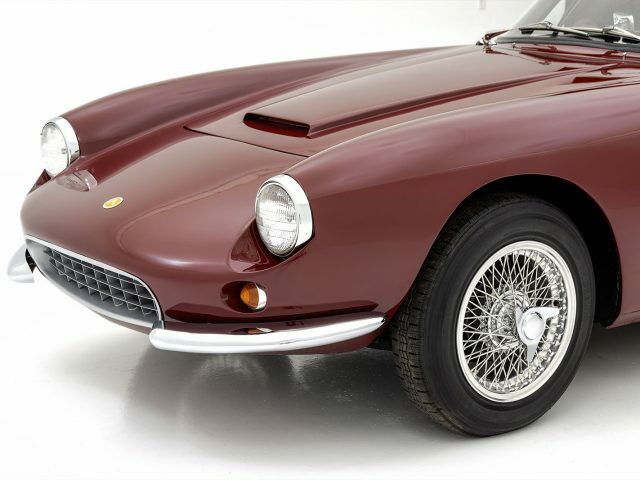 More recently, the Apollo was designated as a “Milestone Car” which recognizes important post-war designs in the same spirit as the CCCA’s list of Full Classics. 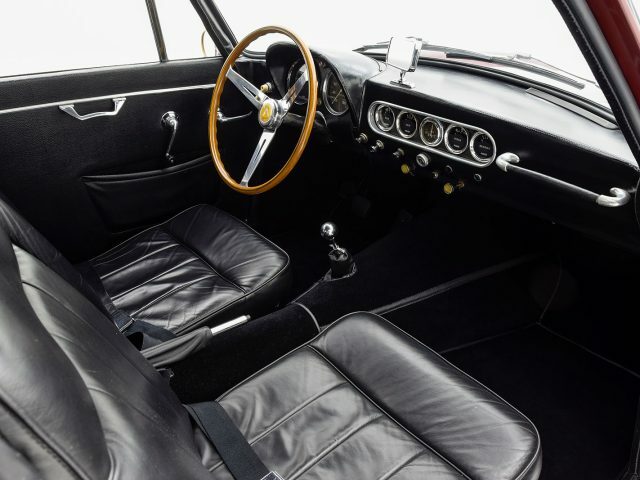 Despite very favorable press, the process of building and shipping the cars soon proved to be too costly, and with GM blocking dealer sales to protect the Corvette, the project struggled. 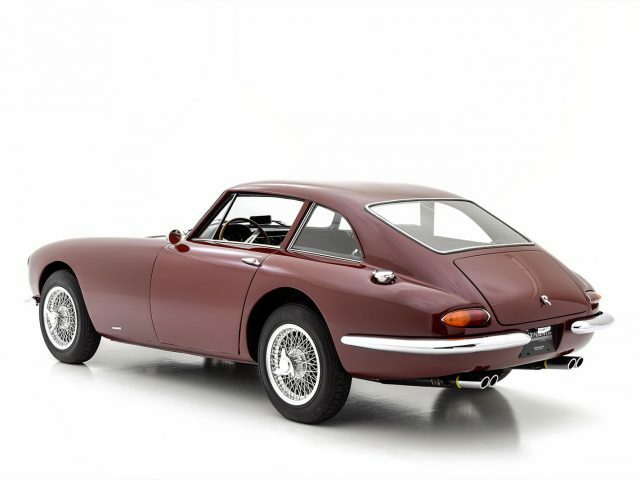 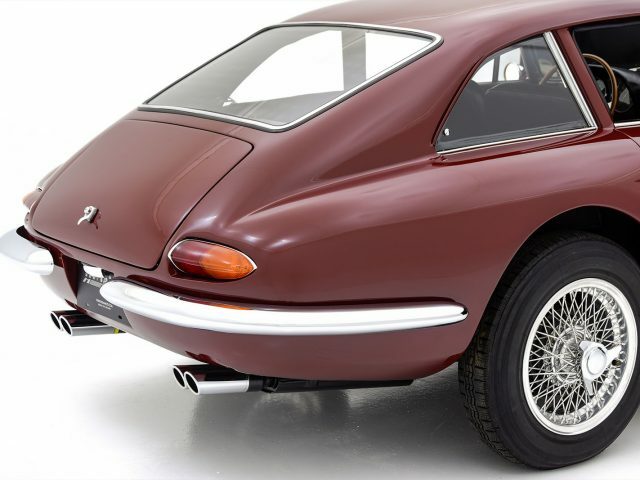 The addition of the Skylark-powered 5000 GT didn’t do much to help, and Brown soon lost control of the project, with the remaining cars assembled in Texas and sold as the Vetta Ventura. 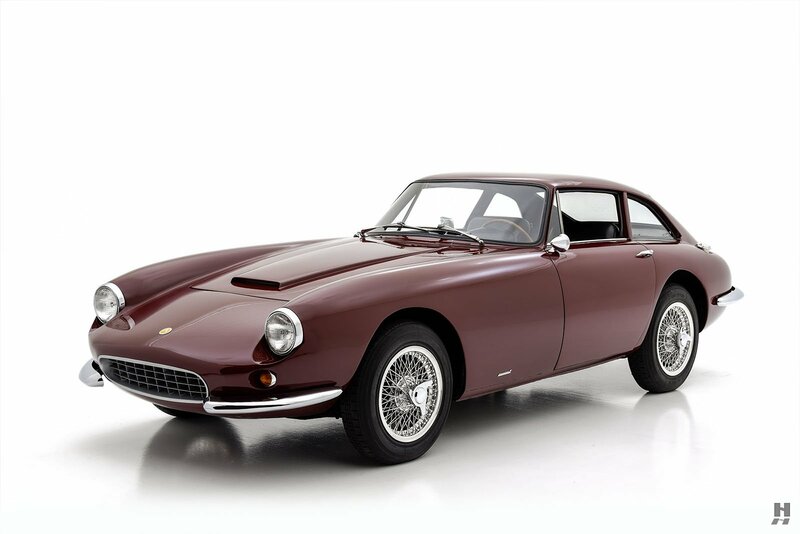 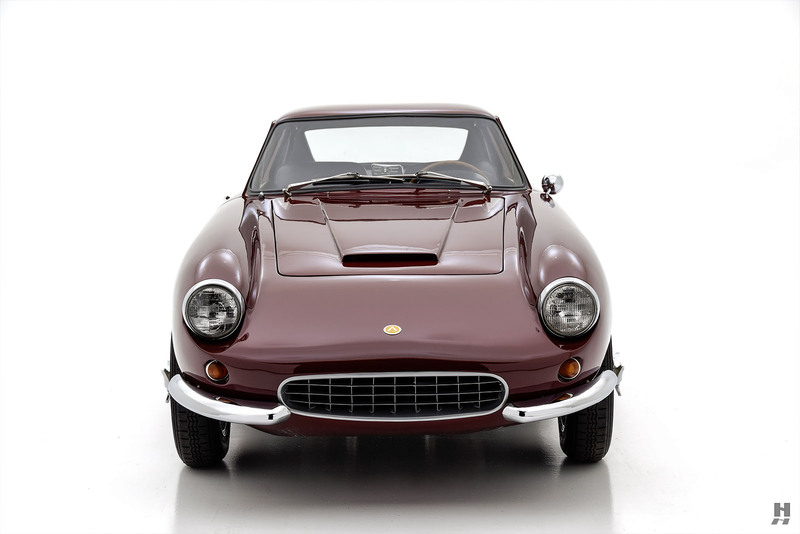 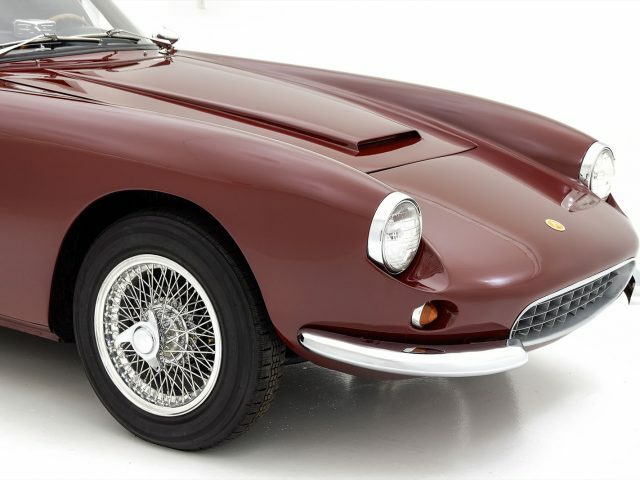 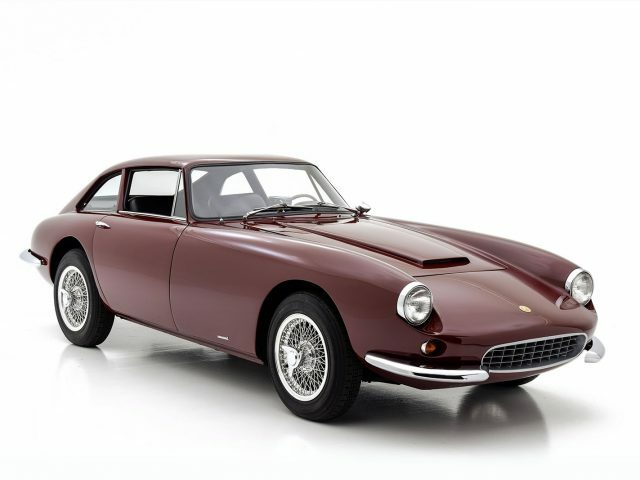 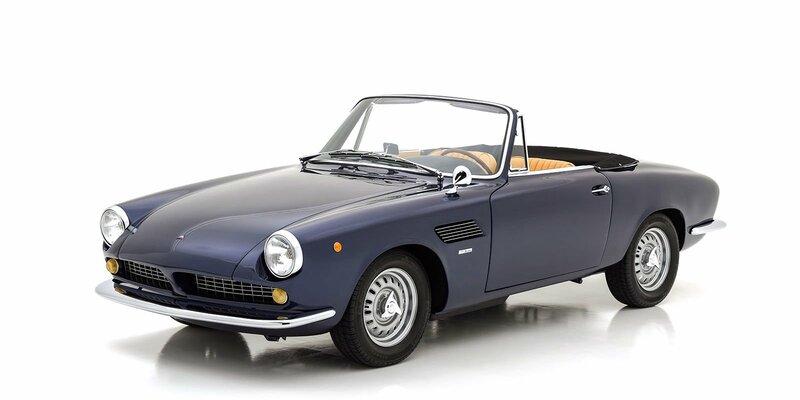 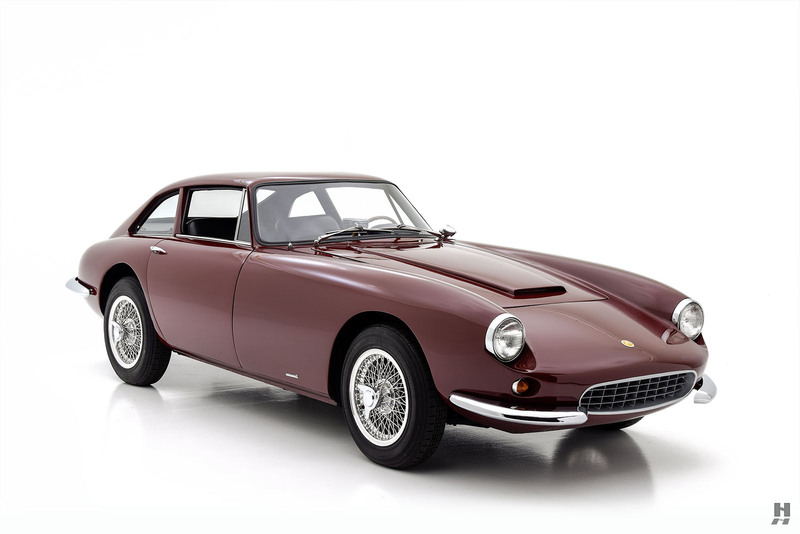 In the end, approximately 88 examples of the 3500 GT, 5000 GT, and Spyder were produced in total, though the Apollo remains as one of the only American-engineered Italian-American “hybrids” ever built. 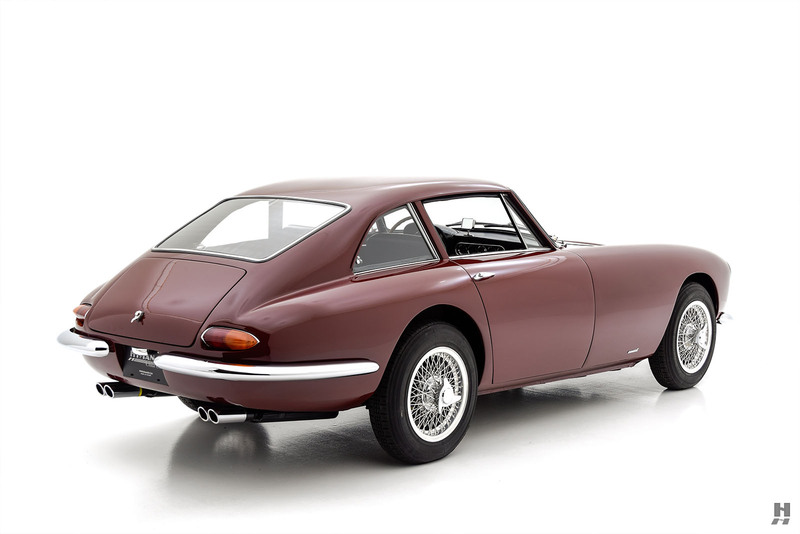 This 1963 Apollo 3500 GT is chassis number 1004, a very early production model fitted from new with the 215 cubic inch Buick engine and a four-speed manual gearbox. 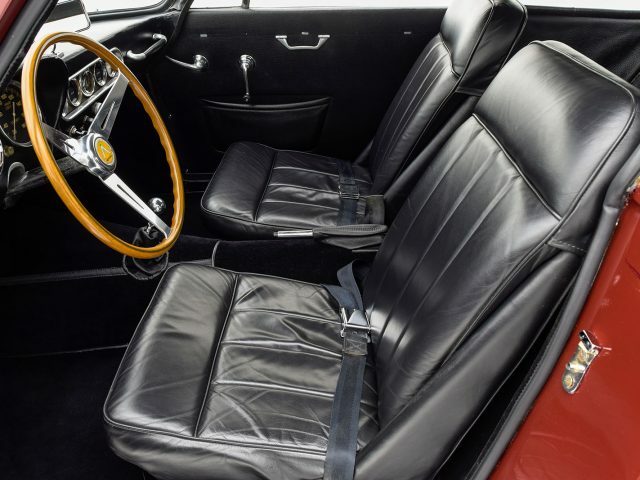 This car is believed to have been delivered new on the West Coast, equipped from new with Borrani wire wheels and a wood-rimmed steering wheel. 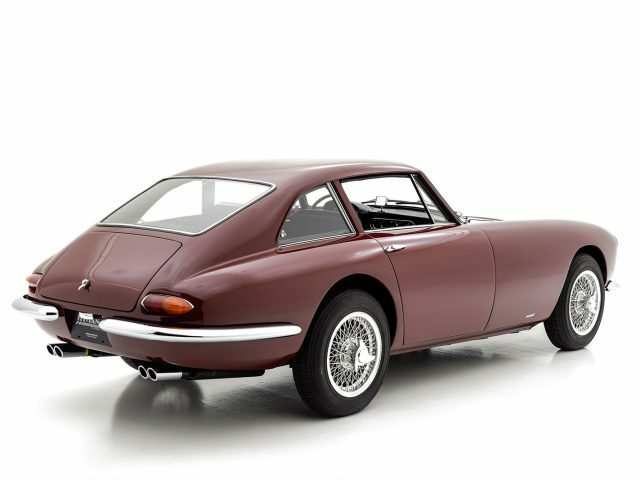 Presented in a flattering shade of deep burgundy, it shows in excellent condition, wearing an older, but lovely restoration. 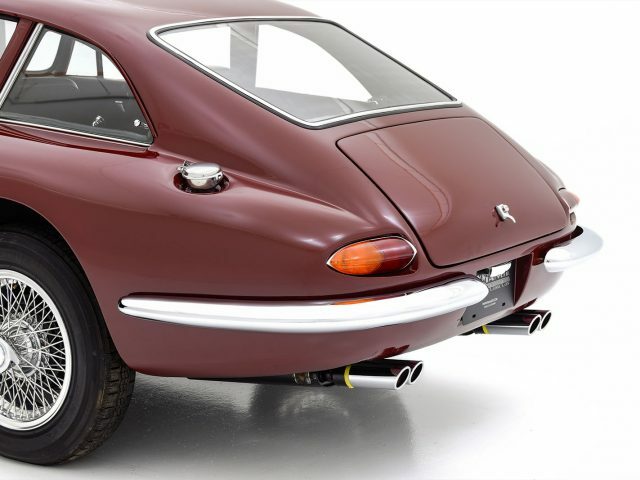 Paint and bodywork quality is excellent, and the car appears crisp and very attractive. 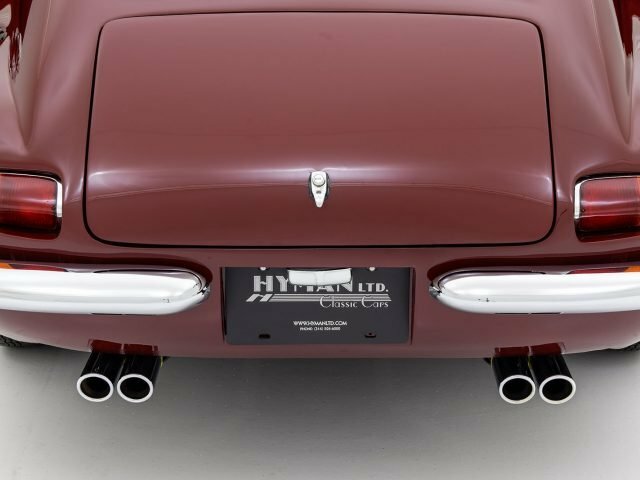 The chrome and polished pieces present well, with good quality plating on the bumpers and quad exhaust tips. 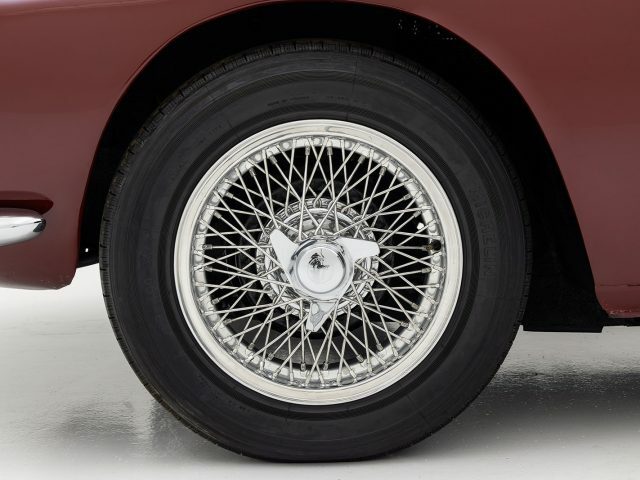 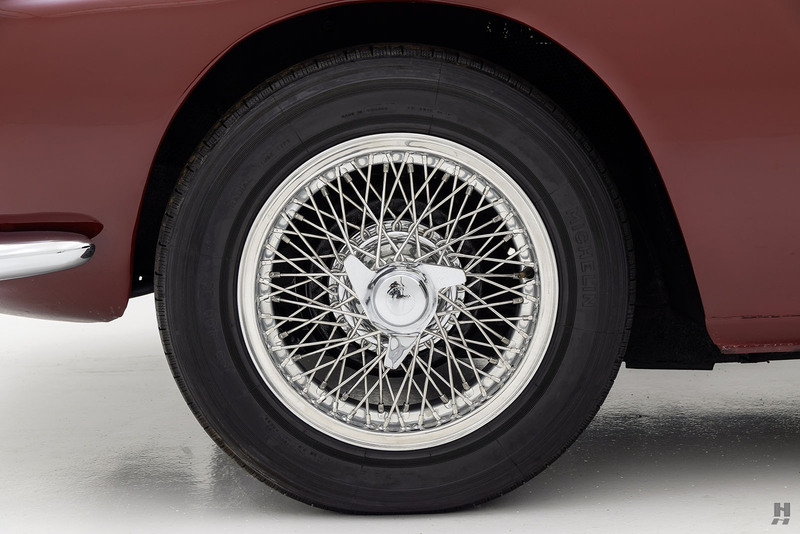 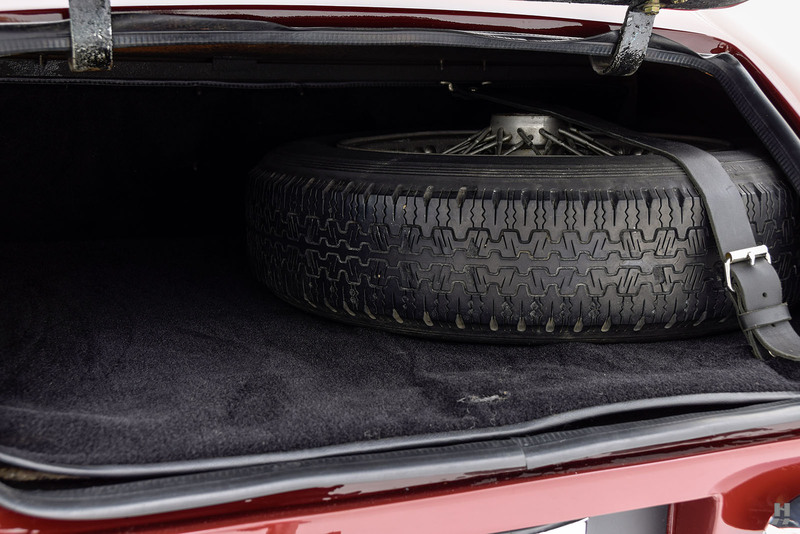 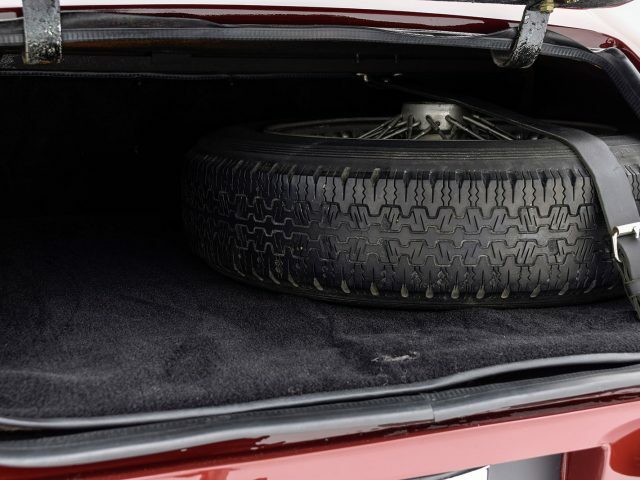 The car rides on gorgeous, polished alloy Borrani wheels, wrapped in period correct 165-400 Michelin X radials. 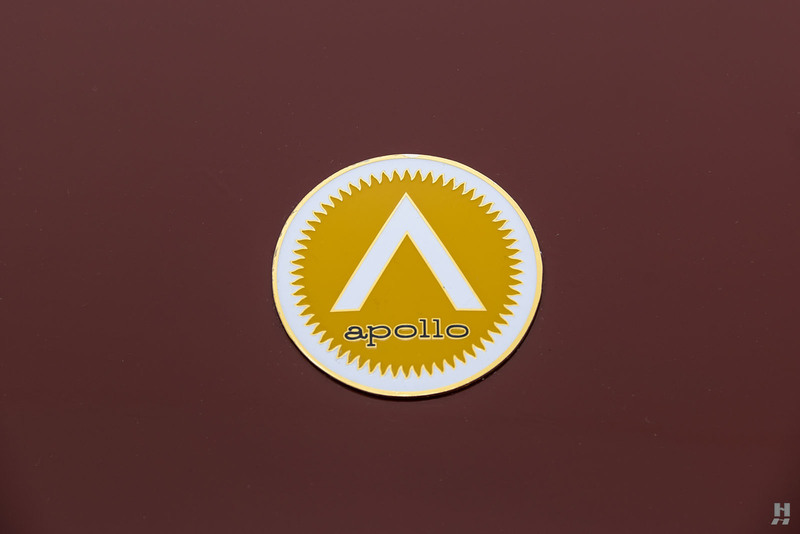 Elegantly styled, the Apollo doesn’t rely on fussy trim and brightwork, instead featuring simple quarter bumpers and subtle “Carrozzeria IM” badges to provide the understated highlights. 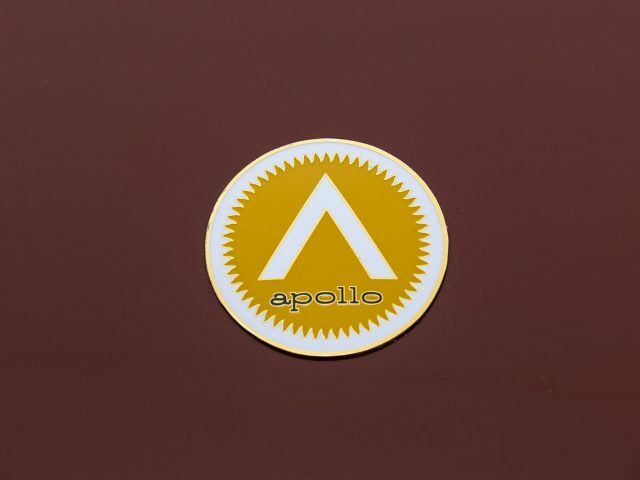 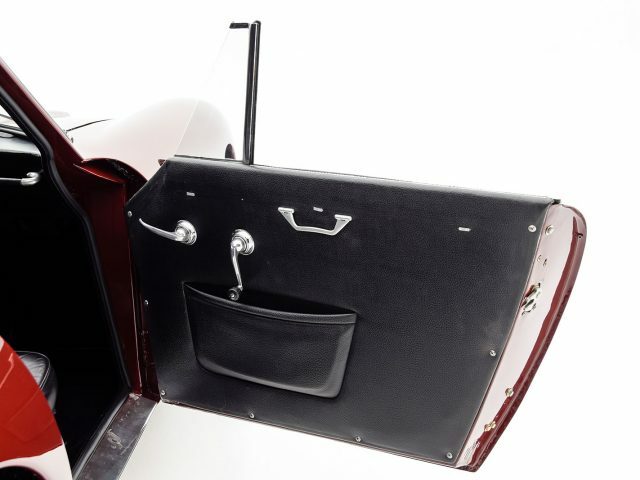 The Apollo cabin is remarkably comfortable, with room for two and generous luggage capacity. 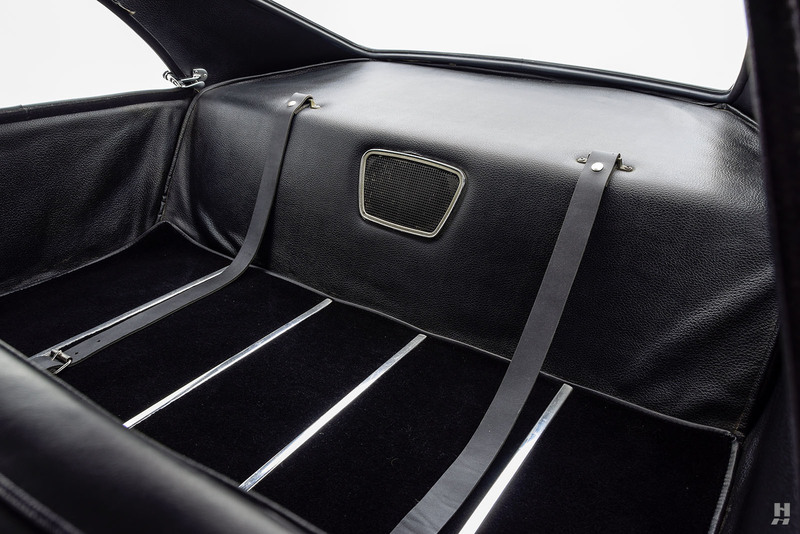 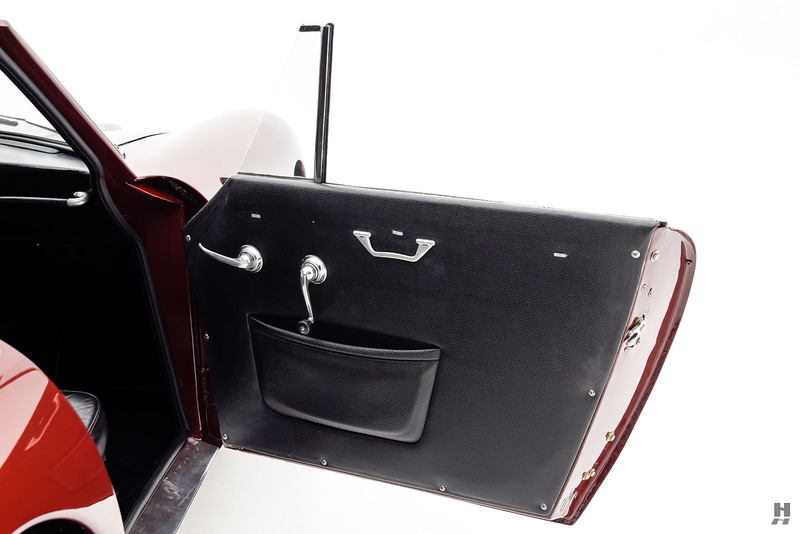 This example’s interior remains faithful to original, with door cards, interior panels and headlining upholstered in the factory correct heavy-grain vinyl. 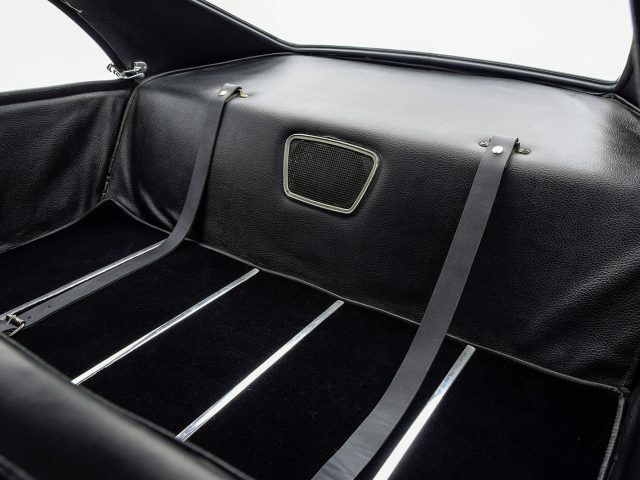 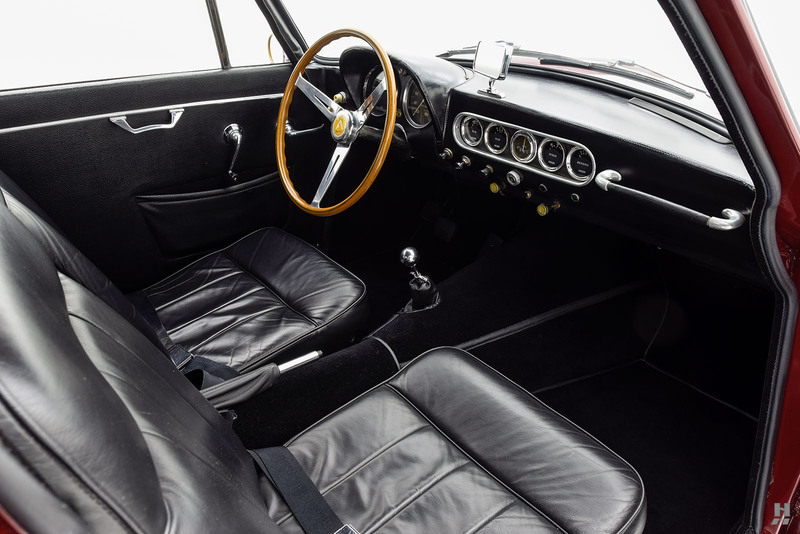 The dash and seats are trimmed in black leather and floors lined with high-quality Wilton carpet. 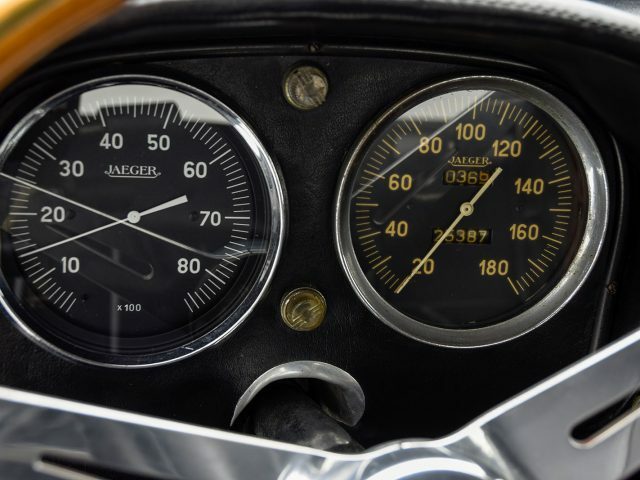 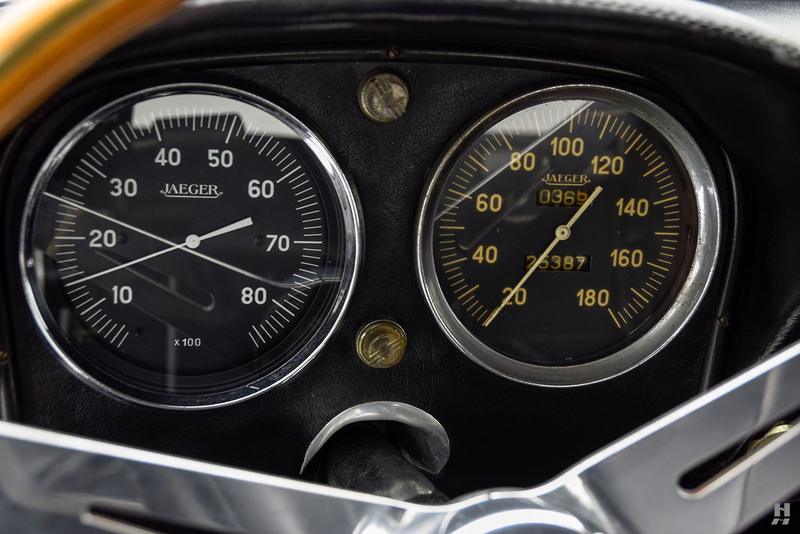 The Jaeger tach and speedo are ideally situated ahead of the driver, while auxiliary dials are arranged neatly in the center of the dash for that classic, 1960s aircraft-inspired layout. 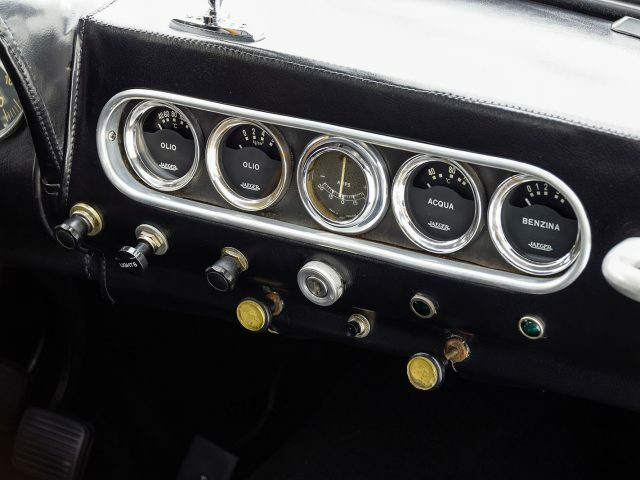 Instruments and controls appear to be a mix of original and restored items and in very good order. 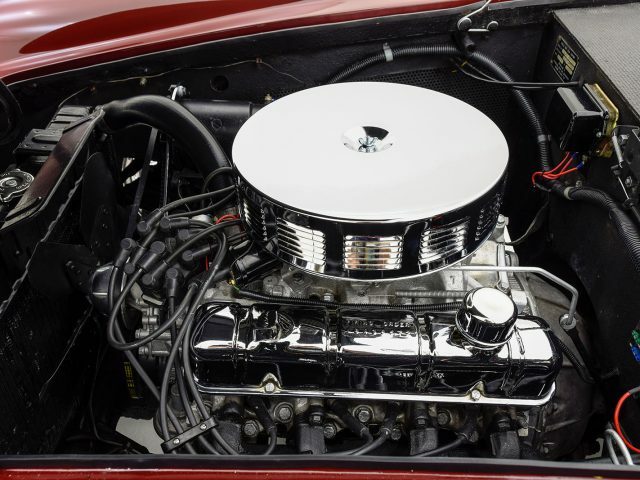 The numbers-matching Buick 3.5-liter V8 is very tidy and well-presented under the hood, featuring numerous period-appropriate details and accessories. 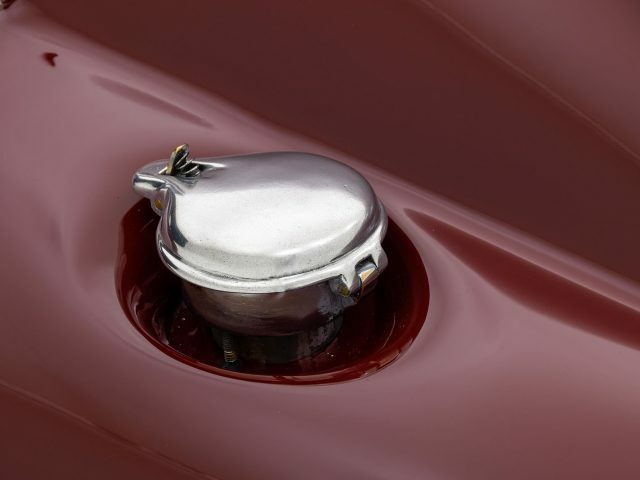 The robust Buick running gear and Italian chassis combine to create a genuinely outstanding GT car worthy of taking on its thoroughbred counterparts from Europe. 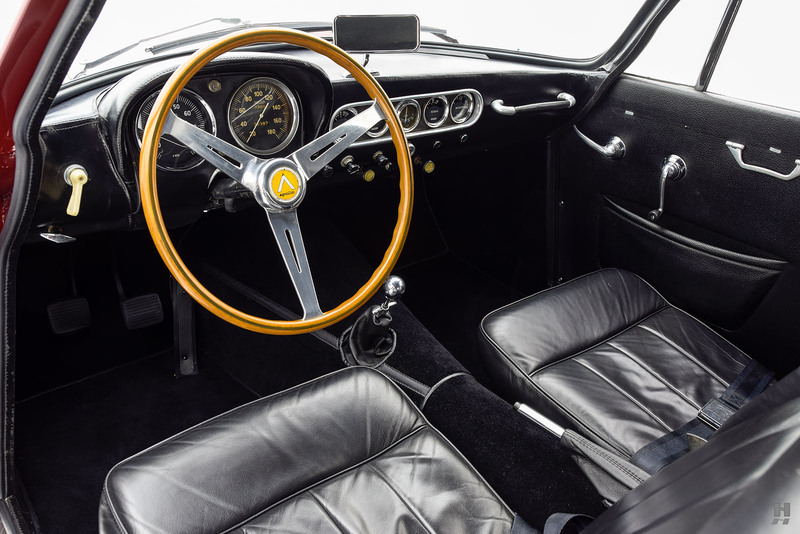 Aside from its beautiful styling, we love the Apollo GT’s combination of rarity, performance, and comfort. 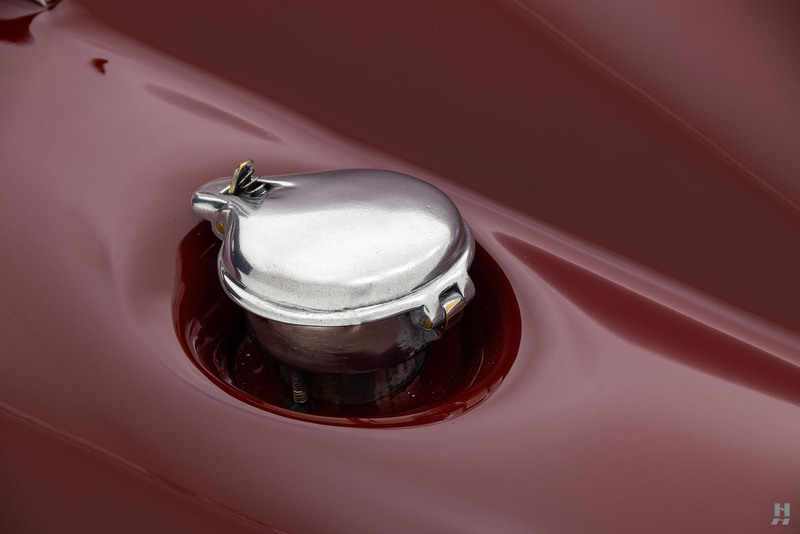 Off-the-shelf mechanical components make it an ideal choice for rallies like the Copperstate 1000 or California Melee. 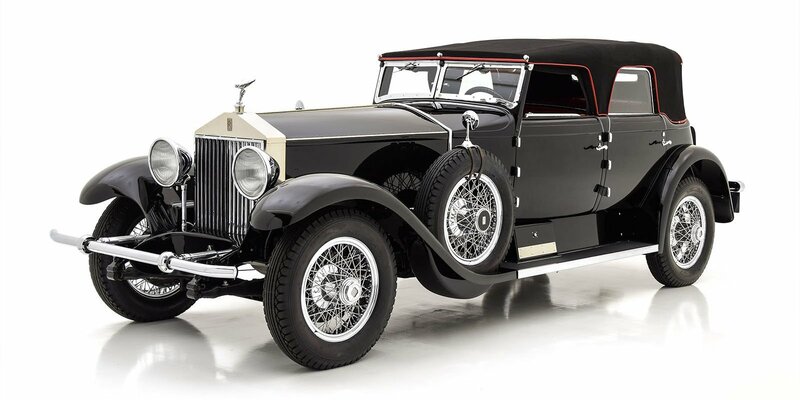 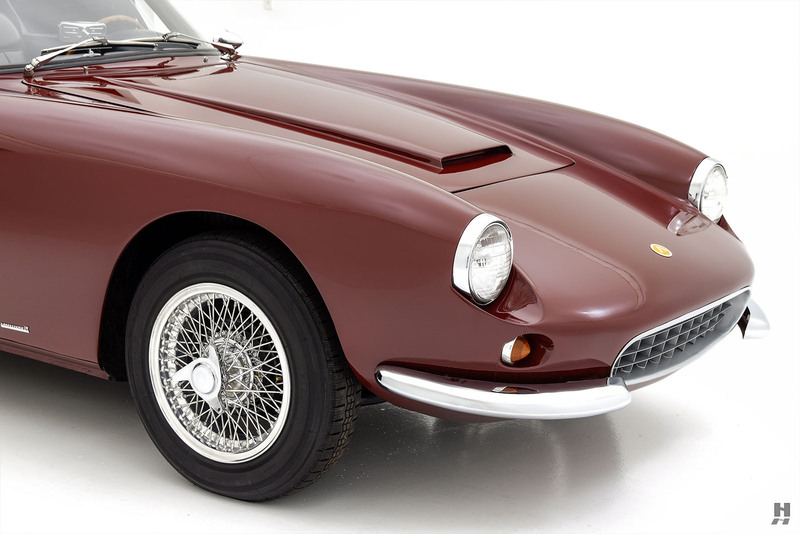 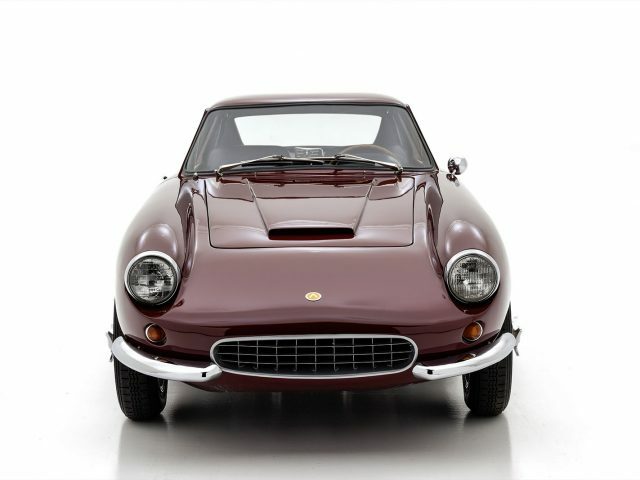 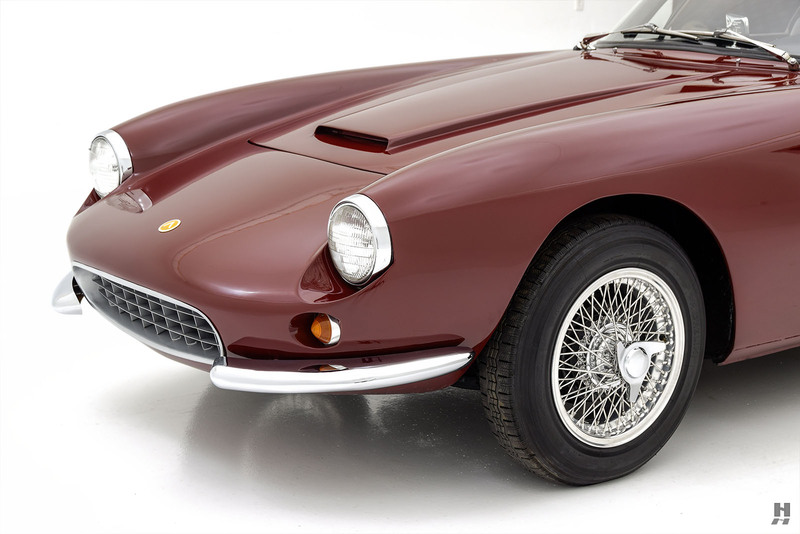 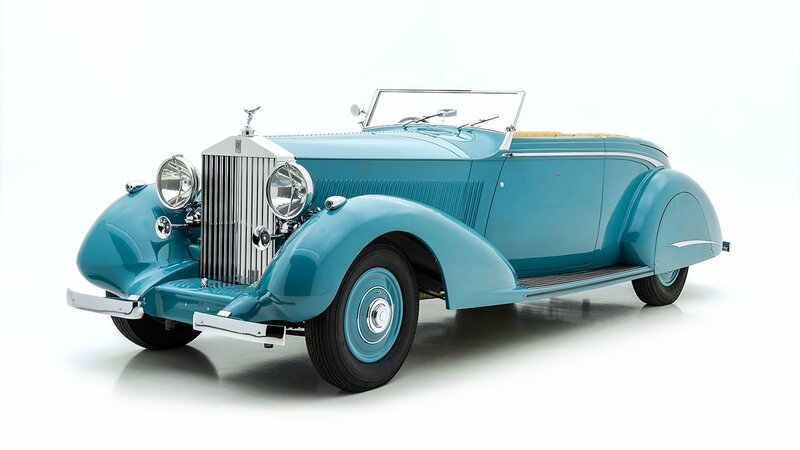 This beautiful example benefits from quality restoration and is ready to enjoy on the road.